This is a 2012 RBP book that is a compilation of 30 short articles from 30 different authors having to do with various aspects of the pastor and his ministry. Each man writes on a topic with which he is deeply involved, so each writes with a passion for his subject. If one had to read 30 books by these men on these topics it would be difficult, so here you have the same points of view in an easier to handle form. The four divisions are personal priorities, core responsibilities, primary competencies, and special situations. The topics and information are not necessarily new except for the fact that each author is writing from the view of his own personal experience. Some topics are typical, such as personal fidelity, missions, and basic church administration. Other topics push the envelope of conservative church polity more. I would even say that some language is coded to mean more than is actually said, if you are in the know and can read a little between the lines. In a broad movement, there is a time in which this is the way more controversial topics are addressed, waiting for a time when they can be championed more openly. Regardless, because of its format, this book will probably be used in classrooms to easily cover a number of topics in one easy-to-read volume. 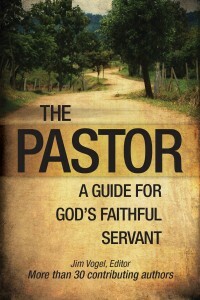 Many of the articles offer valuable and insightful help for today’s pastor.